Physician Assistants and Nurse Practitioners play a major role in our healthcare system today. The United States has been facing a reduction in the number of practicing Physicians, and primary care has been most adversely affected by this shortage. However, Physician Assistants and Nurse Practitioners have stepped in to bridge the gap, and are making the significant impact on communities in need. Their numbers are growing every single day, and job opportunities for both roles are on the rise. But why is that the case? Due to the rise in onsite corporate health clinics, in-home health-care, and retail clinics, Physician Assistants and Nurse Practitioners typically develop a diverse set of skills. Outside the traditional doctor’s office or hospital, they are exposed to a wide variety of health cases and technologies that make them adaptable members of any team. 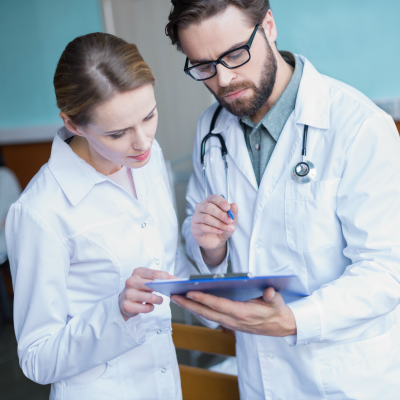 Some Physicians express concern when they consider the large influx of Physician Assistants and Nurse Practitioners in the healthcare marketplace. In reality, these roles are there to support the expertise of their Physician counterparts. When Physicians work hand-in-hand with Nurse Practitioners and Physician Assistants, they are actually more able to provide top-notch, comprehensive care to patients. Physician Assistants and Nurse Practitioners become respected and integrated parts of the care team. In fact, with the support and supervision of a qualified Physician, they can often offer care at a similar level to a Physician and reduce some of the workload and stress. Many states are adapting their regulations for advanced practice providers to enable them to provide even more patient care. While 20% of Americans live in rural areas, research has shown only 9% of Physicians practice there. On the other hand, 17% of Physician Assistants and 18% of Nurse Practitioners, work in rural areas—meaning these clinicians are providing much-needed support to underserved regions. These four reasons are only a peek into the advantages of hiring qualified Physician Assistants and Nurse Practitioners. Want to learn more? Visit Floyd Lee Locums or talk to one of our Concierge Consultants at 843-900-4185.